Shelby Scarbro started her career as an assistant at Studio G in 2012. 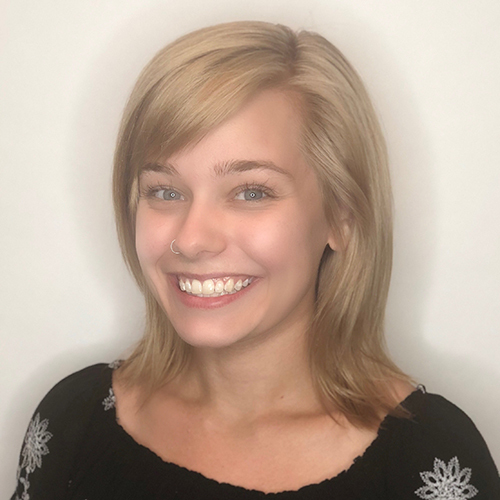 With hard work and perseverance, she earned her cosmetology license through an apprenticeship at Studio G. Utilizing her advanced training in Eufora cutting classes and gaining her certification in Affinage color, Shelby’s many talents have shown through her beautiful work. Her specialties are balayage and A-line haircuts. In her free time Shelby loves being outside and hanging with her husband and 2 cats.